Where to locate your hive is something you will need to consider when you get your first hive. 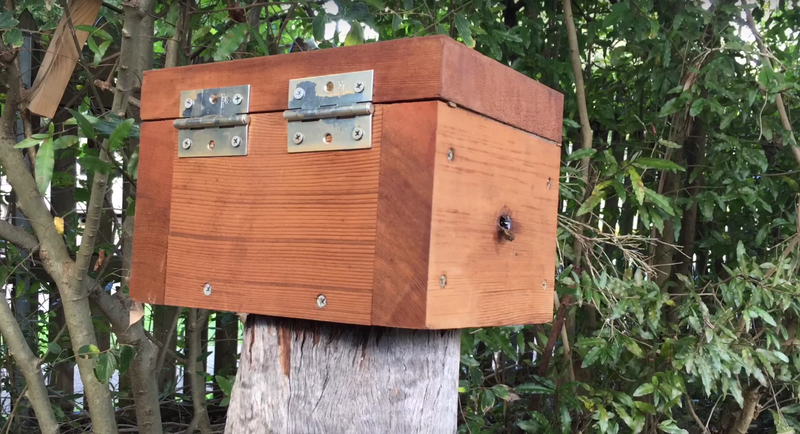 Have a look at this little video for a few tips on where to place your hive when you bring it home. Some people build special stands with little shelters on them. Their hive can be placed in direct sunlight all day. This is not a bad idea considering most areas in their yard will work. Here are a few tips on where to locate a hive. -Keeping the hive location out of full sun, especially in summer with morning or afternoon sun. – Keep the box location free from surfaces where geckos and other unwanted pests can easily bridge across. 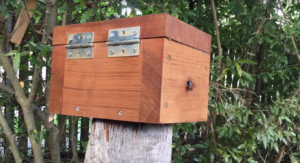 -Locate the hive where you can keep an eye on it if something goes wrong. 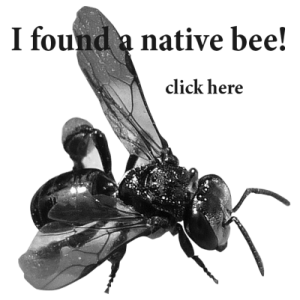 Native Australian bees have been know to build in places that often aren’t the best choice and sometimes in summer hives melt away. Some of these are: steel drums, compost bins, plastic planter boxes and of course water meter boxes.